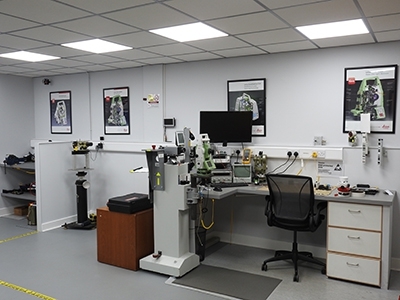 We offer comprehensive instrument calibration, servicing and repairs on a wide range of survey equipment. We are a fully authorised & accredited service and distribution partner of Leica Geosystems in Ireland. With a modern, purpose built service laboratory and manufacturer certified technicians. As part of our ongoing commitment to offer best in industry certification, we have introduced the Calmaster system. Leica CalMaster is the only calibration system that issues ISO certificates, the Leica CalMaster ensures the most accurate and reliable rotating lasers on the market. Our knowledge and expertise within the surveying and construction industry mean we understand the importance of accurate instrumentation and the benefits of scheduled maintenance. Our customers can expect an exceptional level of service. We are always available to discuss your service requirements. Regular servicing and maintenance will extend the service life of all equipment purchased. We strive to ‘turn around’ repairs as efficiently as possible, reducing possible downtime for our clients. For further details, please contact our service department.